Email marketing is one of the most important tools for online promotions. It is not only cheaper but also generates huge traffic to the websites. It is witnessed that online stores and e-commerce websites get a high volume of business through email marketing. The response rate of emails is quite high and average order value is of a high ticket size. Despite being such an imperative tool, it is comparatively easy to track and manage. It is easy for you to evaluate performance of your email marketing. 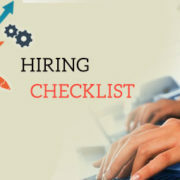 This task can become much simpler with outsourcing. 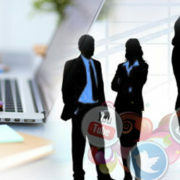 Hire a virtual assistant to accomplish the job of email marketing. It will certainly allow more time to focus on your core business. 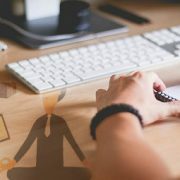 Virtual Assistant (VA) strategizes the entire process of email marketing and stands with you at every step. Building an email campaign is the most important part of this process. Virtual Assistants use their wide experience and knowledge to craft the campaigns, list of subscriptions, and active auto-responders. They easily adjust to the requirement of a brand and pursue the changes as specifically needed according to your company. Content is the soul of email marketing. If you write a simple email without any sensational heading or engaging content, you may not get anticipated response from the campaign. 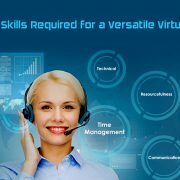 Here, the knowledge and practice of Virtual Assistant services come into play. They will put their tons of experience in creating content and will educate you to draft attractive emails for campaigns. VA providers can also offer experienced copy writers to make it more professional. Delivery of email at the right time is very important from the campaign perspective. This responsibility of scheduling or releasing email at an accurate time is accomplished by VA. With your prior permission, they list the email of subscribers and send them messages when you wish your email to be in the inbox of recipients. Proper segmentation is imperative, especially in e-commerce business. It is preferable to give importance to categorize subscribers on the basis of existing and new ones. Existing people are loyal customers and you have to use a different approach while your reach to new customers should be enhanced in different ways. You need to integrate subscription form in your campaign to retrieve contact details of subscribers and potential customers. Whether you release it on social media or on your website, you need a professional assistant to handle the entire procedure of integrating subscriptions and integrating new emails into the list. It is equally important to know the result of email campaigning. Here, VA plays a crucial role of extracting every single data by tracking each and every inch of campaign. Apart from click-through or opening rate reports, VA provides valuable insights related to the same. It really offers big breakthroughs in conversion rate optimization. Performance report of your campaign is also tracked to find the emails reached, clicked, opened, time graph, and location of a viewer. If you don’t have enough time to spend on email marketing which is definitely an incredible tool to tap new clients, then hiring a virtual assistant is quite beneficial. Email marketing is a serious strategy to pull up sales and increase client base. 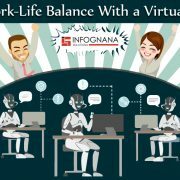 If you choose a right company like Infognana as your partner to accomplish all these important works, it will be a landmark decision for the growth of your company. 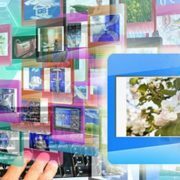 How Can A Virtual Internet Research Specialist Boost Your Business? 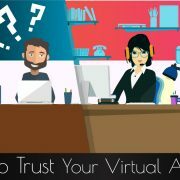 How Can Virtual Assistant Services Ensure Success For A Start-Up? What Business Tasks Should You Outsource To Enhance Overall Productivity Of Your Enterprise? 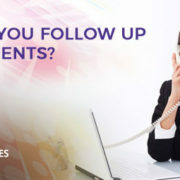 How Should You Follow Up With Your Clients using a Virtual Assistant?